Alicia Crank is the owner of Crank’d Up Consulting, offering over a decade of experience in meeting, event and organizational management for non-profit organizations in Silicon Valley and the Greater Seattle area. Alicia is a specialist in teaching Interpersonal Leadership in nonprofits and small businesses. At the Shoreline Chamber Luncheon, she will be giving a brief overview of what Interpersonal Leadership means, how it applies in community organizations and the importance of refreshing programs and relationships with internal and external partners. Alicia is also the Corporate Relations Officer for YWCA Seattle | King | Snohomish. 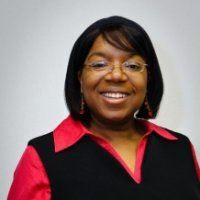 A Detroit native, Alicia held several leadership positions in corporate banking, education, business and the nonprofit sector in Silicon Valley. Having moved to Greater Seattle in 2014, she is now one of only a few women of color in corporate philanthropy. Alicia sits on the boards of Emerge Washington, Edmonds Chamber of Commerce and the Edmonds Senior Center. She is also a member of the City of Edmonds Planning Board.